Why Choose Palladium for an Engagement or Wedding Ring? Palladium is considered to be a viable alternative to white gold and Platinum. Some of the world’s most exclusive manufacturers are now offering this material as a leading choice for their new engagement ring lines. If you are at the stage of considering what metal to use for you new engagement ring, palladium could be your ideal choice. During the Second World War, when the government declared Palladium a strategic resource, many pieces are jewelry were produced from this material. This started a new trend in jewelry. Since then it has been used in a wide range of fine jewelry, especially engagement rings. It has an appearance similar to that of platinum and white gold due to natural white properties that are present in Palladium. But has a far more natural appearance as it doesn’t require rhodium plating. Palladium also has hypoallergenic properties and is highly suited to those that have an allergy to gold. Even the finest white gold actually starts like as standard yellow gold, to take on that classic white appearance it needs the rhodium plating treatment. 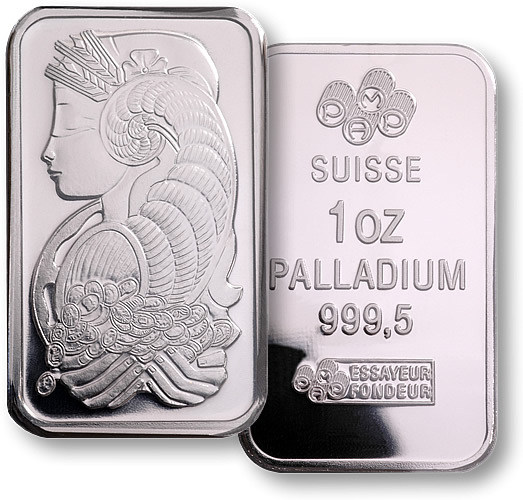 Prior to 2004 palladium was actually used in the manufacture of white gold. This natural white appearance of palladium gives a unique look like no other. No such plating is required for palladium. It has an almost platinum like appearance. 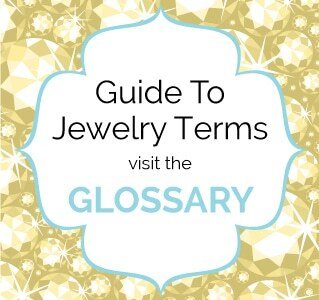 One factors that is considered when it comes to jewelry is of course cost. Platinum is an ideal material for jewelry, although this metal comes at a premium. You may well pay a $300-1000 premium for it. Engagement ring designs with the thicker style will of course cost more because of the additional Platinum required. If you are choosing an engagement ring set, you may well be looking for a matching wedding bands. When using Platinum you may well end up paying hundreds of dollars more. If you are on a limited budget then Palladium may well be the choice for you. 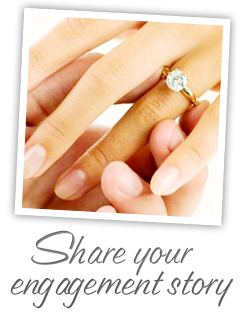 You will have the funds for great diamonds to add to that showpiece engagement ring that you have always dreamed of. Palladium due to its appearance and properties in often considered to be a relative to Platinum. They share the same tarnish resistant properties, electrical stability and is highly resistance just like Platinum. However, it is slightly whiter in appearance compared to platinum. Today, many couples getting married do actually prefer the white cold appearance. This makes palladium the ideal choice as it has that same whiter appearance as white gold. Palladium is so flexible that it can even be beaten into a thin leaf only 100 nm (or 1/250,000 of in inch). Just like platinum, over time it develops a hazy patina over time. It is always recommended to polish your palladium jewelry every 6 months. Little do people realize that palladium is actually harder than Platinum. However it has a weight much closer to that of gold. Platinum is still a far denser metal which accounts for its additional weight. 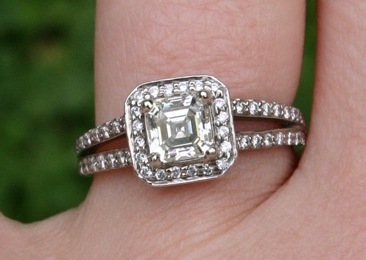 It is really a case of personal preference when it comes down the choice of the metal used in a ring. Some people actually liking the heavy feel of platinum jewelry. Although some would like something lighter in weight. Another thing to consider that if you do choose platinum and opt for a thicker ring band design you may find that weight a little more than expected. If you are choosing a thicker design, you should consider a lighter material like palladium. The density of platinum doesn’t guarantee that it will be more resistance to everyday wear. Although it is a strong metal used in many demanding applications, as jewelry you may often shows knocks may appear in the form of nicks, dents and deep scratches. In fact that form of wear is very common with everyday platinum jewelry. Palladium has a 12% additional hardness compared to platinum and this will show with a much higher resistance to such damage. With an engagement ring, you really want something that is quite hard wearing against the stresses your engagement ring will be exposed to. Palladium More Rare Than Platinum? Palladium was discovered in 1802 by William Hyde Wollaston. Despite it being a lower priced alternative, it is actually a very rare metal. Imagine, that you gathered all the palladium in the world. It would fill less than one room. In real terms palladium costs about as much as 18 karat Gold. As popularity increases this will not stay that way forever. Now is a good time to invest in some palladium jewelry. By comparison gold is also a rare material, it would occupy the volume of two olympic swimming pools. And we imagine all the everyday purposes of gold, from jewelry to electrical conductors. It found its way into everything, this along with the fact it is a rare metal pushes the price up, to as much as $1,000 per once in its purest form. Platinum appears somewhere in the middle of this index of rarity. All the platinum in the world would probably occupy an area around the size of the average American living room. This of course is causing the high price of this material, and its not just being used to jewelry it is used for a variety of applications. Its hard characteristics see it being used in industry, engineering and even fuel cells and medicine due to its non corrosive properties. All in all, if you’re looking for a fantastic platinum alternative you may want to consider it’s “sister metal” palladium. 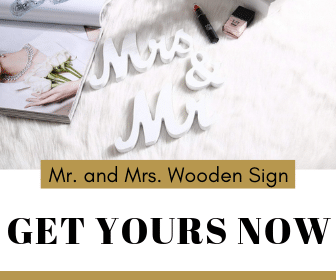 Brides around the country are beginning to tout its beautiful properties and while it is a fantastic metal, it is more difficult to cast than other metals. Fortunately, settings companies are becoming more accustomed to the processes and getting better at it each year.